Singapore became the first to welcome yet another new Korean group, this time round, the talented Topp Dogg. After debuting their mini album “Dogg’s Out” on 24 October 2013, ToppKlass in Singapore were lucky to have the chance to meet the rookie group for their first overseas fan meet. “Say it” was the opening song they performed and I can say that I was much excited to watch them live. Their first mini album caught my attention because all the members were involved in composing, producing and arranging the songs. Hooked to their songs, it made the fan meet more enjoyable for me. As it was their first time in Singapore, they mentioned about the cleanliness, the warmth and welcoming weather. 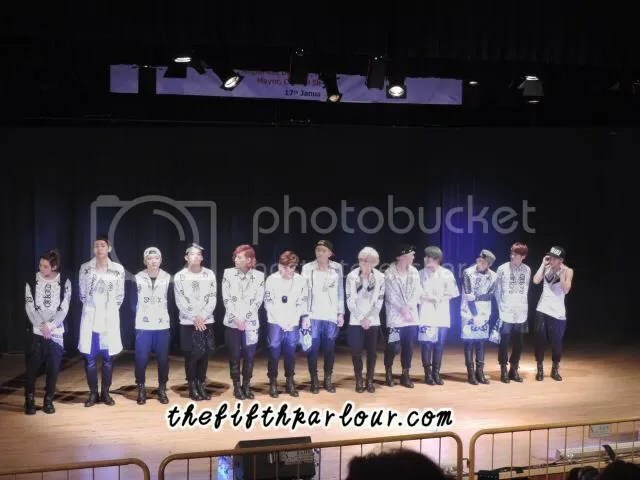 Topp Dogg felt good to receive so much love from the fans in Singapore. 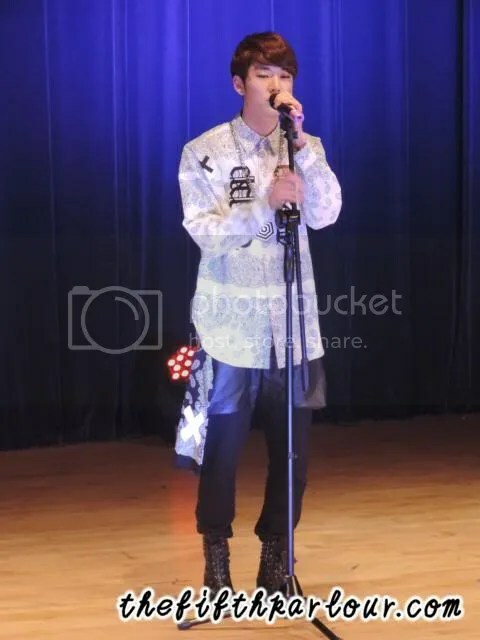 Kidoh took on the stage next with his self composed solo song 너 같은 여자(A girl like you). Just like the usual fan meet, fans were invited on stage to participate in games with the idols. Lucky fans were picked in a lucky draw by the members. Divided into two teams, two fans got to join each team to play charades. Personally I like how they imitated “Snsd” and “Exo” during the game. As a rookie group, they are certainly aware of their seniors. Second game is a “shaking of post-it” where ‘stickers’ were being pasted by the challenger – a lucky fan paired with a member of their choice. The close up interaction between the fan and the idols during the game caused many screams to erupt. Observing the members act and play, I felt that they really enjoyed themselves on stage. 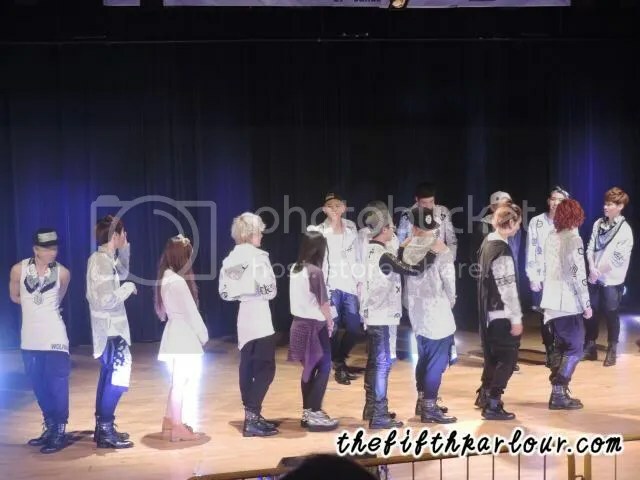 Bjoo, Hansol, Hojoon and Xero then showcased their expertise, dancing in a different genre. The others performed their single on the repackage album “Cigarette” live for the first time. 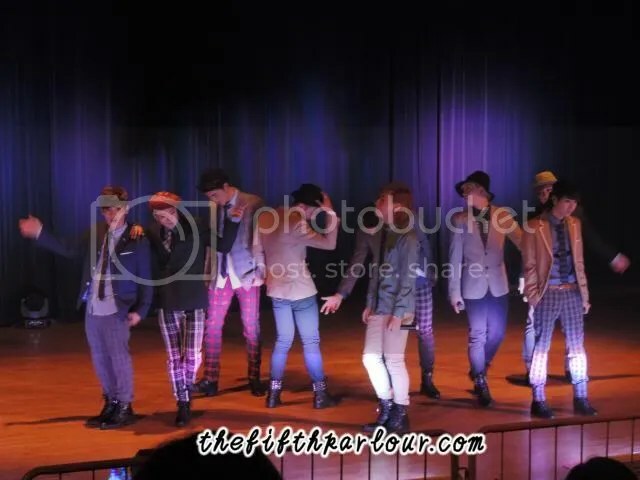 “Cute girl” was performed in a casual and laid back stage movement attracting attention of the fans. The members did many fan services as they sang. Topp Dogg finished up their performance with “Say it” again for the encore stage. 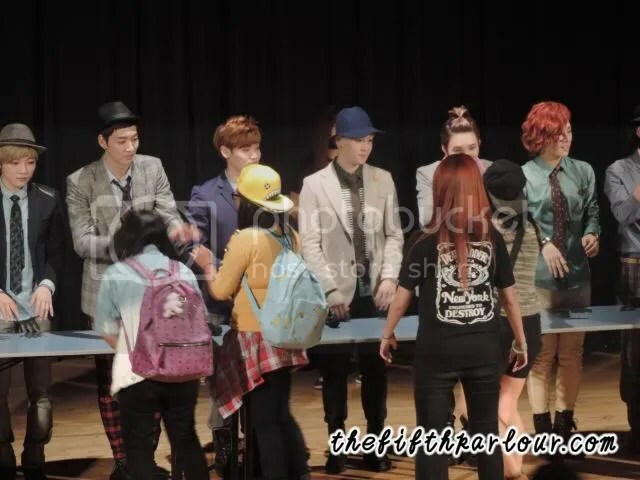 It was not the end as the hi-touch session, photo session and autograph session were held after that. 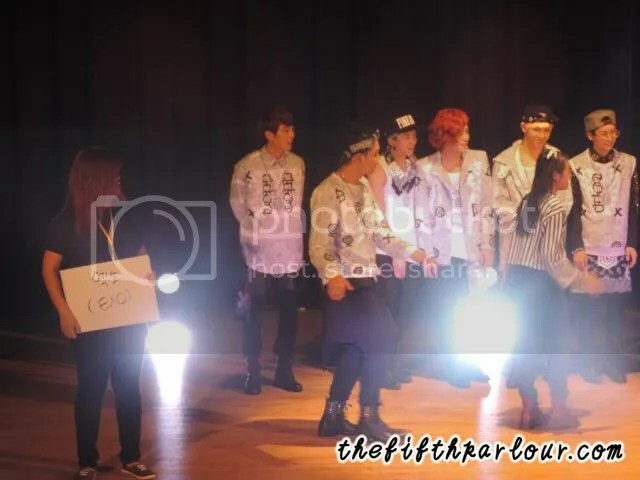 In my opinion, the small venue (Queenstown CC Auditorium) was actually fine and suited a rookie group like Topp Dogg to perform. Fans could get much clearer view of the members on the ‘stadium like’ seating where everyone won’t be bothered about craning their necks to look at their idols on stage. Topp Dogg will be coming back with their 2nd mini album “Open the door” soon and the MV for “Open the door” has just been released. Special thanks to East Entertainment for extending the invitation to The Fifth Parlour. For more photos, head on over to our Facebook page here.